I am not a big lunch person. Don’t get me wrong, I do enjoy going out to lunch, but taking time out of my day to make lunch has always been a bit of a nuisance for me. I work out of the house and I am busy! I really do not want to stop in the middle of the day while I am working on a project to prepare a nice healthy lunch which (yes, I know) is what I should be doing. Instead I end up resorting to quickly slapping together a ho hum sandwich or just snacking throughout the day. Not good. 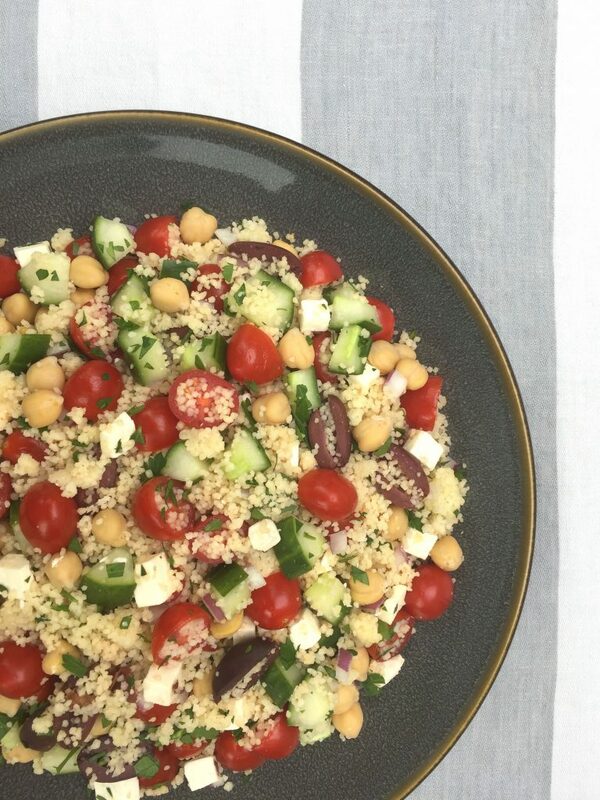 That is why I love this recipe for Mediterranean Couscous Salad so much. First of all, this salad is absolutely delicious. 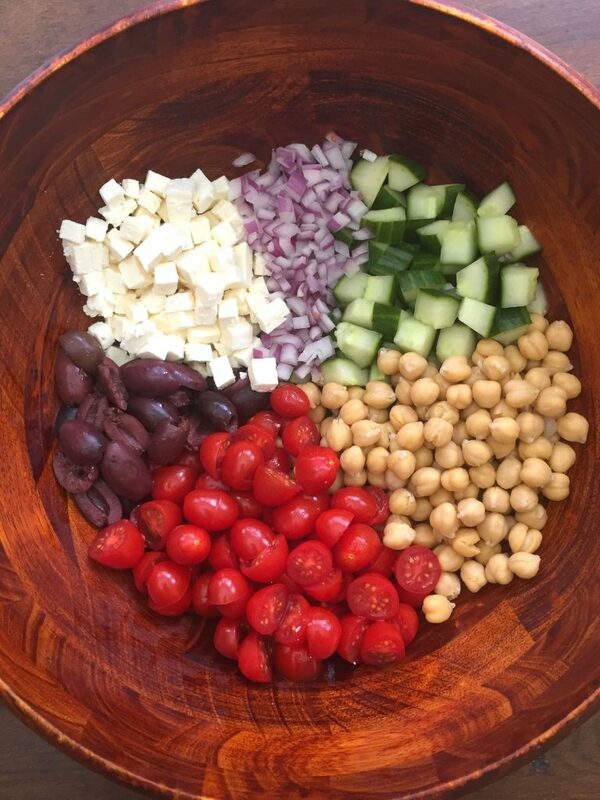 The classic flavors of the Mediterranean come together beautifully with fresh tomatoes, olives, chickpeas, crunchy cucumbers and feta cheese. But what I really love about this salad is how well it keeps. I make it on Sunday and have some for lunch, then go on to enjoy it for lunch for the next two or even three days. No time spent cooking for lunch, no quickly made peanut butter and jelly sandwiches, just this healthy, delicious and beautiful salad that is magically waiting for me in the refrigerator. 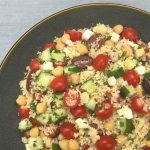 Mediterranean Couscous Salad also makes a great side dish for pretty much anything off the grill. How about with a nice roasted chicken with lemon and rosemary? That would be amazing! I also on more that one occasion have doubled the recipe and served this when I entertain. Yes, I do get plenty of requests for the recipe. In a small sauce pan bring one cup of water with a pinch of salt to a boil. Shut off the burner and slowly whisk in the couscous. 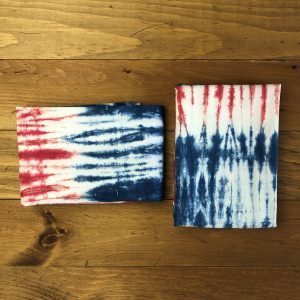 Cover and let sit for 10 minutes. You now need to "fluff" the couscous. I do this by carefully raking the top layer of the couscous with a fork and then continue raking as you work your way down. As you go, take the top layers out of the pan and transfer onto a plate. You are looking to break up the clumps. Let all the couscous cool on the plate while you make the rest of the salad. Cut the grape (or cherry) tomatoes in half. You can leave really small ones whole if desired. In a large bowl, add in the tomatoes, cucumbers, olives, the minced onions, chick peas and the feta cheese with a pinch of kosher salt. Add in the couscous and gently toss together. In a small bowl add in the red wine vinegar, lemon juice, the salt and pepper. Slowly whisk in the olive oil until well incorporated. Drizzle the dressing over the salad and toss to coat. Taste and add more salt and pepper if needed. Toss in the chopped parsley. Refrigerate the salad if making well ahead. It is a salad - so use more or less of the above ingredients to suit your own tastes. Yes! I have used quinoa instead of couscous to make this salad. It's all good.